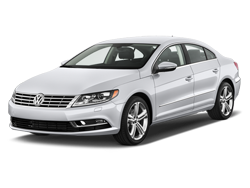 Your Volkswagen is in good hands when you bring it to Bertinis German Automotive Repair of Roseville for service or repair. We have the correct and current software to properly diagnose your Volkswagen service, and we use original equipment parts in order to perform the best quality service and repair. The VW line is diverse yet exciting. The VW repair team at Bertinis offers Volkswagen services and repairs to all VW models like Jetta, GTI, Touareg, Tiguan, Passat, Golf, Eos, CC, and the legendary, classic Beetle. These cars all have a couple things in common, specifically outstanding engineering and a high safety rating. The VW repairs that we do at our Roseville auto repair are all geared towards upholding these extraordinary standards so that you’ll have the best driving experience possible. Call your Roseville Auto Repair to have your Volkswagen service done by an expert today!